Sometimes we homeschool parents can be a bit over-eager trying to teach our pre-readers different subjects and skills before they're even ready. 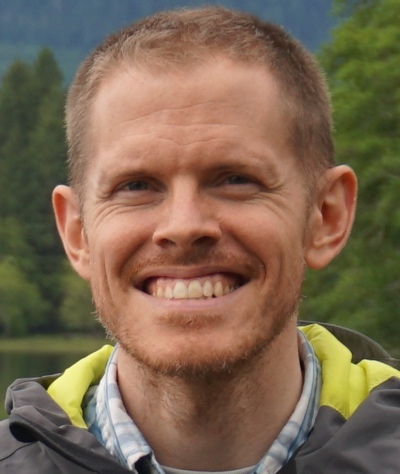 It's only natural, we just want our kids to succeed... That, and we want to politely, yet firmly secure the nay-saying mouths of our well-intentioned, "what-about-your-kids-socialization?" friends, family, and peers. If you find that your pre-reader is still a bit too young to start reading and writing, but you're just itching to get them on their way to reading and writing success, please check out the following list of activities. Regardless if you're child is still nursing, wearing diapers, or they're already 3 and they can chatter up a storm, there are so many different activities you can do to help equip them for success with literacy. Check it out! Start a habit of reading to your child every day- 20-30mins. Model reading in your own life so that they will want to mimic what you do in your free time. Place hard-board books and children's books around the house, in places that they frequent. When you find your child is making mistakes saying longer words, break the words up into clearly enunciated syllables and repeat with the correct syllable accent. Speak with your child frequently and ask them lots of questions about a wide range of topics. Even speech above their level of comprehension will help with pronunciation and vocabulary learning. Sing children's lullabies, Sunday-School hymns, and other catchy songs. Limit your child's exposure to tv, computers, cellphones and other devices if at all possible. If they aren't exposed to the stimulus overload of flickering screens, jumping camera angles, sound effects and intense music, and gamified media it will be easier for them to learn to be content and focused on the simple things in life. Allow your child to manipulate and play with physical objects on a daily basis- let them play in the backyard, picking up sticks, rocks and dirt; teach how them to properly hold kitchenware, and coloring instruments; do arts and crafts, etc. Ask your child to tell you what new words are made when you combine words like 'school' and 'house,' "peanut-butter," "blue-bird," "sun-flower," "moon-light." Ask your child, "What word is /k/ /a/ /t/ (The sounds for 'cat')" Do this with other words, breaking them up into their distinct sounds and blending them together. hat, rat, sat, dog, fog, hog, bed, med, red, etc. Ready to get started with your child's journey to literacy?  Get Your Free Homeschool Literacy Startup Pack!